The best time to visit Costa Rica is between mid-November and April. Not only is it the driest part of the year, but it’s also pretty toasty – temperatures hover around the 28-degree mark, with up to twelve hours of sunshine each day. And although these months are great if you’re looking for a fly and flop somewhere tropical, there’s more to Costa Rica than sun-kissed beaches. When's Costa Rica's dry season? If you’re looking to visit Costa Rica and would rather pack your bikini than your rain mac, you should plan your visit between mid-November and April. It’s the best time to go if you’re looking for some warm sun during the UK’s colder months, with temperatures reaching highs of 28 degrees and around 12 hours of sunshine a day. If a beach break is your dream holiday, then head to Guanacaste, which has some great beaches that are perfect for basking in those toasty temperatures. When's Costa Rica's rainy season? May to mid-November is referred to as Costa Rica's green season, with rain falling heaviest in September and October. However, this shouldn’t stop you from visiting. You’ll often find sunny mornings and rainy afternoons, so if you don’t mind getting caught in a mid-afternoon shower, it’s a great time outside of the busier peak season to go to Costa Rica. When's the best time to visit the rainforests and jungles? If the main draw for you is Costa Rica’s famous jungle, then visiting during rainy season, or just after, is the best time. It’s when the vegetation is at its greenest, and the waterfalls are full, so you’re sure to get loads of Instagram-worthy snaps. Costa Rica’s dry season can be very hot, causing the forest to dry out and turn brown. But, it’s the best time to spot wildlife on tour. The trees drop their leaves during dry season which means there are less places for wildlife to camouflage themselves, and you’re more likely to catch a glimpse of exotic creatures. Plus, with water supplies being limited, there are only a few places animals will go, so locals know exactly where to go to spot them. When's it quietest in Costa Rica? What events should I see in Costa Rica? More than a million people travel from all over the world to attend this festival, which lasts for two weeks in January. You can expect fireworks, live music, folk dancing and plenty of beer – it’s said that it’s second only to Oktoberfest in the amount it serves every year. Costa Rica’s Independence Day is celebrated on the 15th September, and is a big deal. 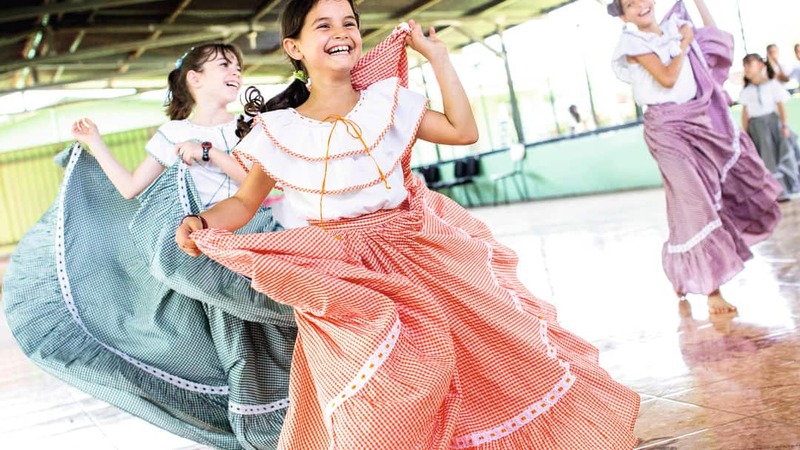 Costa Ricans come together to celebrate their history by raising the National flag, marching in colourful parades, performing traditional dances and singing the National Anthem. Festivities begin the day before, on the 14th, where school children walk through the streets with home-made lanterns. There’s also a torch-run in which Costa Rica’s symbol of freedom, the Independence Torch, is carried through Honduras, El Salvador, Nicaragua, and Costa Rica by foot – just as it was in 1821. Envision Music, Arts and Sacred Movement Festival is a great one to attend if you fancy something a bit different. The event, which takes place in February each year, features trapeze, yoga and beach get-togethers for people passionate about helping the environment. If you’re a fan of Rio’s Carnival, then you’ll love Costa Rica’s version. 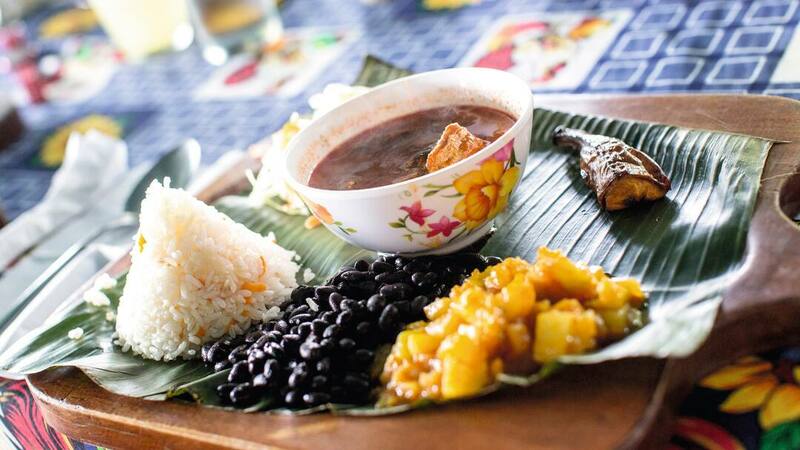 Limon Carnival is a 12-day street party, filling the port city of Limon with colourful costumes, loud music, lively dancers and typical Costa Rican food, such as rice and beans served with coconut and spices. Now that you’ve picked the perfect time to go to Costa Rica, it’s time to find a great deal. Plus, find out what to pack for a trip to Costa Rica and get the lowdown on our action-packed tour, which shows off Costa Rica’s best bits.